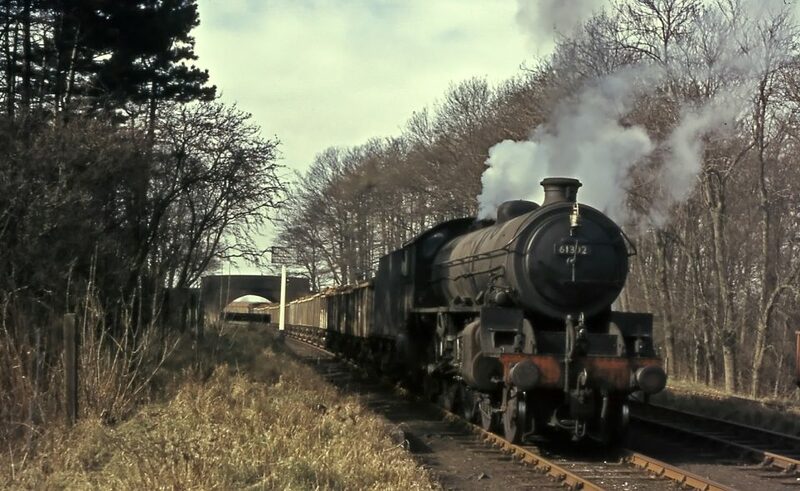 The header photograph (above) shows an ironstone train ready to depart from Denton in March 1966. Photograph taken by Noel Ingram, used with permission from Steam World. Three miles travelled so far - only two and a half to go! Beginning from where we arrived at the end of Part 1, the branch continues south east from Bridge No. 7 towards Casthorpe Junction. We are now on what is formally called 'The Woolsthorpe Branch Extension', built a year or so after the stretch of line we've covered so far. A footpath crossed the line here - no need to close the hand gate now, the last train ran many years ago. At the far side of the field runs the Grantham Canal. 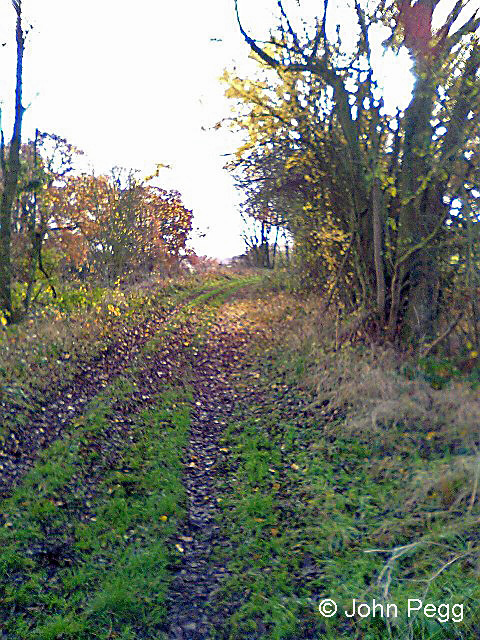 Heading towards the junction with the Harlaxton branch, one of the straight sections. 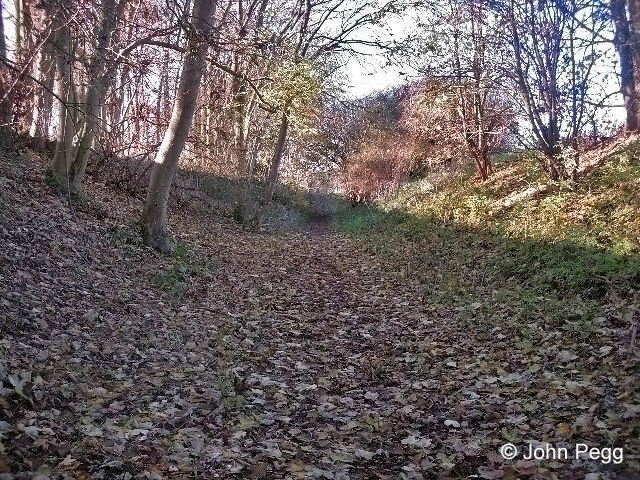 A stream trickles almost unnoticed beneath the track. 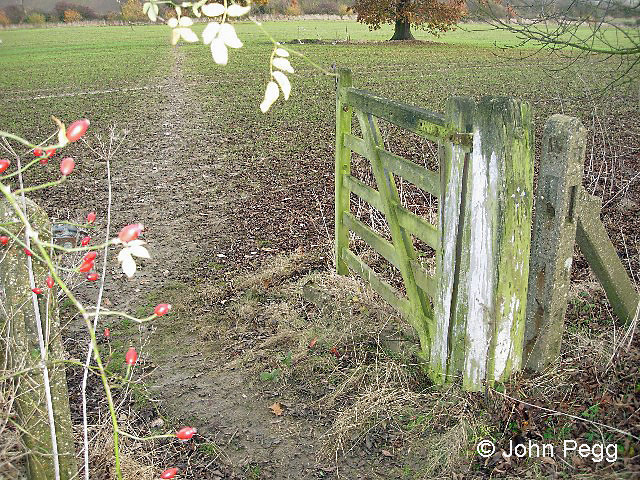 Another farm crossing with the heavy concrete gateposts seen earlier on the walk. One of them has started to crumble away. The starting point for Part 2 is Bridge No. 7 over Longmoor Lane at top left. The gated footpath crosses diagonally, then another path crosses at the same point as the stream. 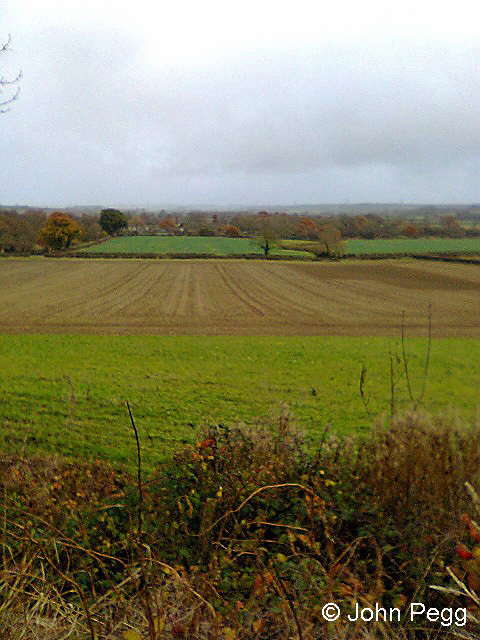 Near bottom right, between the corners of two opposite fields, is the farm gate crossing. All the maps are dated 1970 except when shown otherwise. We've reached Casthorpe Junction. 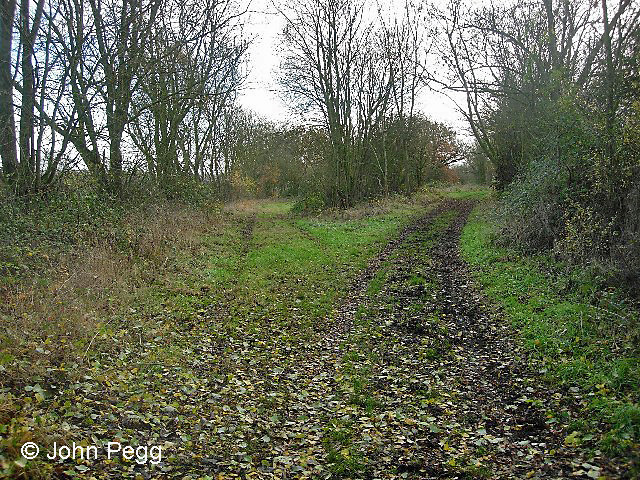 Left is the branch to the Harlaxton mines, opened in the 1940s. Keeping right takes us to Denton. 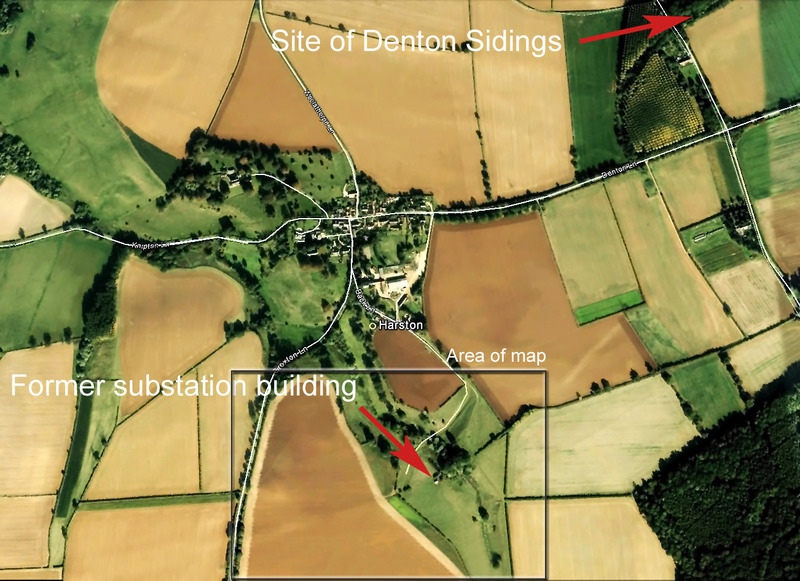 We'll carry on to Denton and return to explore the Harlaxton branch in Part 3. You can see that the line to Denton is ascending. 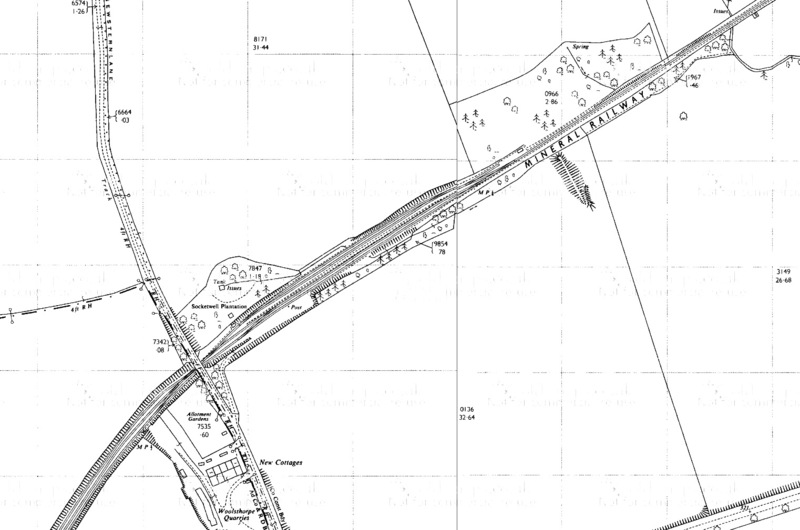 Casthorpe Junction is at top left, formed in the early 1940s when ironstone extraction began in the area around Harlaxton. 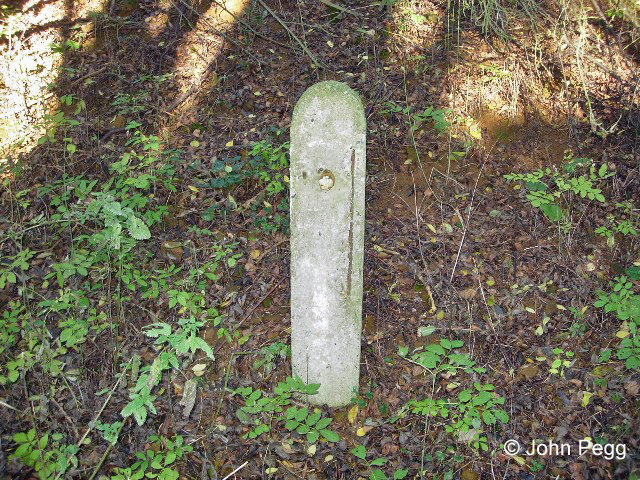 We wil follow the Harlaxton mines line in Part 3. For now we bear right at the junction. We've turned right onto a slight uphill incline. Fireman, put another shovel of coal in the firebox to get us to the top! There's an excellent view from here, if you have time to see it. Keep shovelling the coal on! Not far to the top now. Curving round the hillside, soon we shall enter a cutting. Bridge No. 8 ahead. We are now 4½ miles from Belvoir, and we have climbed 45 metres - 150 feet 'in old money'. Time for a break from all that shovelling. From Casthorpe Junction the branch follows the curvature of the hillside on the west, steadily gaining height until Bridge No. 8 under Belvoir Road is reached. 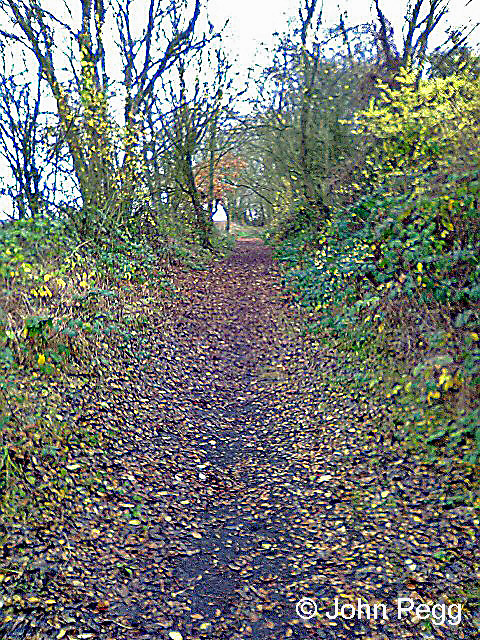 We left the main part of National Cycle Route 15 a couple of miles back - it heads towards Grantham, using the canal towpath - but this part of the old Woolsthorpe Branch line has been upgraded as a link to it. 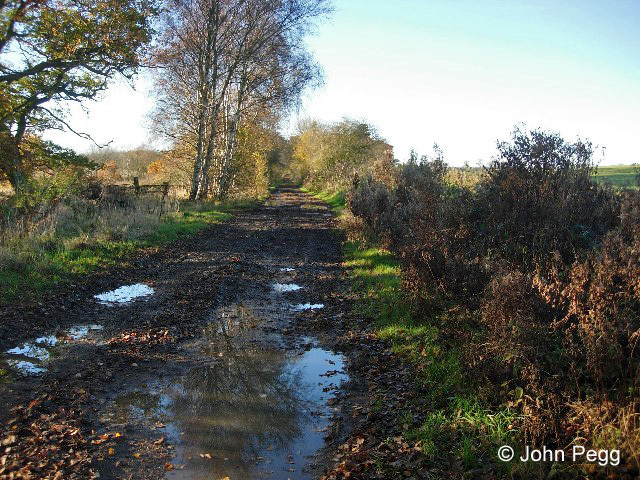 This spot is a great place to start if you want a good walk or cycle ride. Belvoir Road crosses the bridge - it links Denton with Woolsthorpe-by-Belvoir. Just through the bridge we start to descend, still in a cutting. At the side of the cutting is a gradient post with its arms missing. This appears to be the summit of the branch. 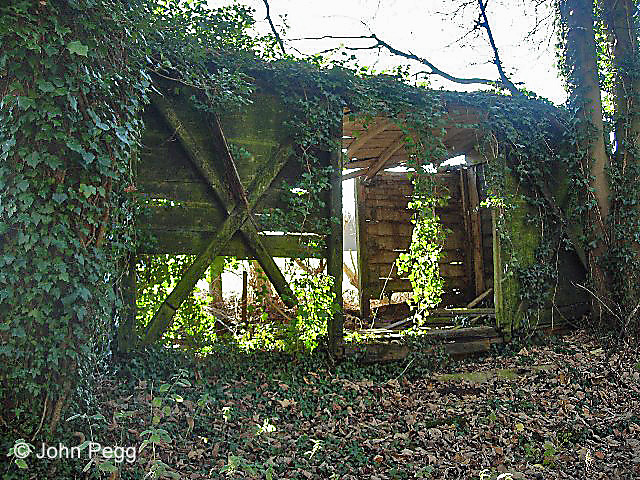 Pushing on towards Denton Manor Farm, it's a bit overgrown here. Lovely weather though. 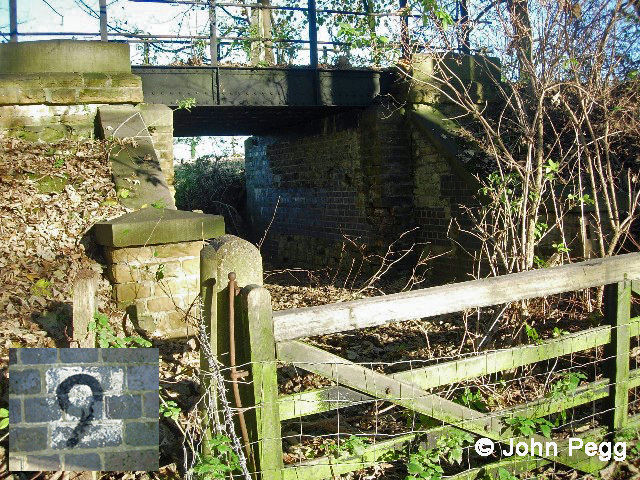 Bridge No.9 provided the farmer with access to land cut off by the railway embankment. 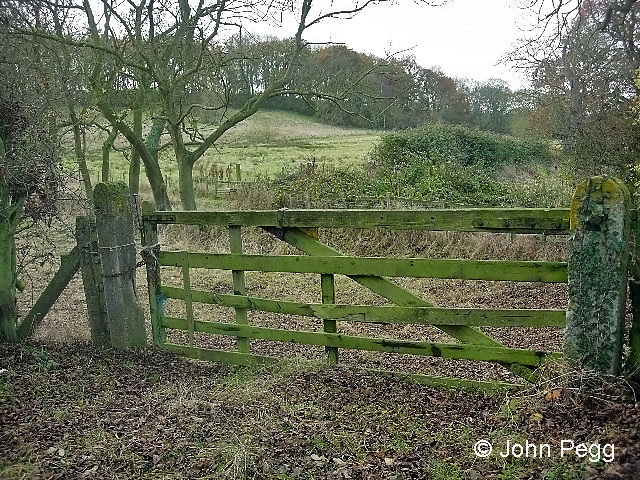 It would be fine for cattle and horses, but you wouldn't get a modern tractor through here. Wet feet here! We've just passed Denton Manor Farm. There was once a short siding on the left at this point. Very convenient for the farmer! 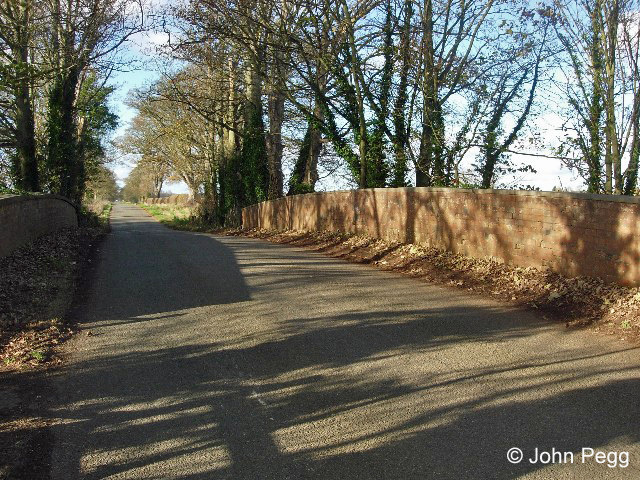 Belvoir Road bridge marks the end of the climb and we pass behind Denton Manor Farm. The location of Bridge No. 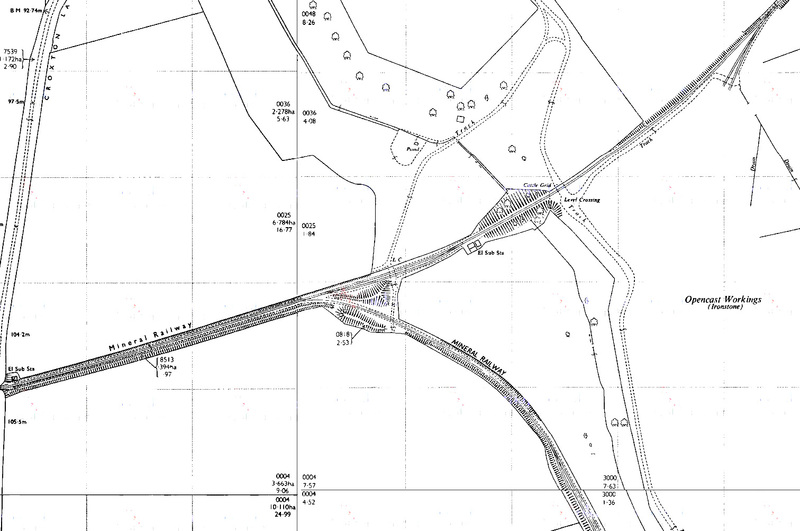 9 is right at the centre of this map, to the left of where a milepost ('MP ') is marked. 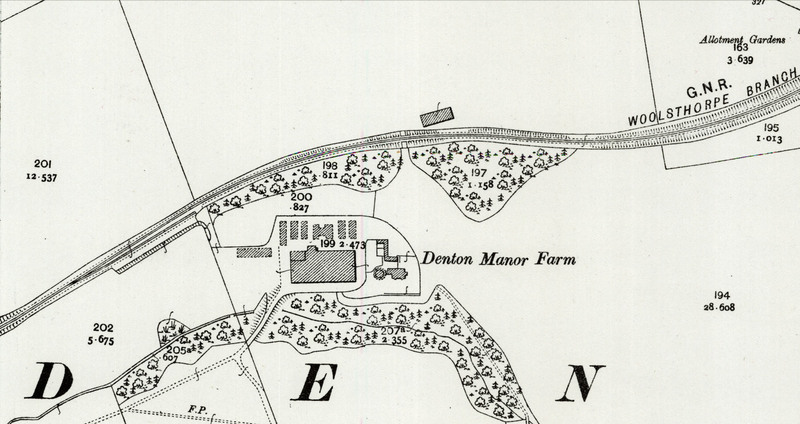 This map of 1902 shows that Denton Manor Farm was provided with a short siding, which had a platform alongside it. That's better, a straight and dry section. 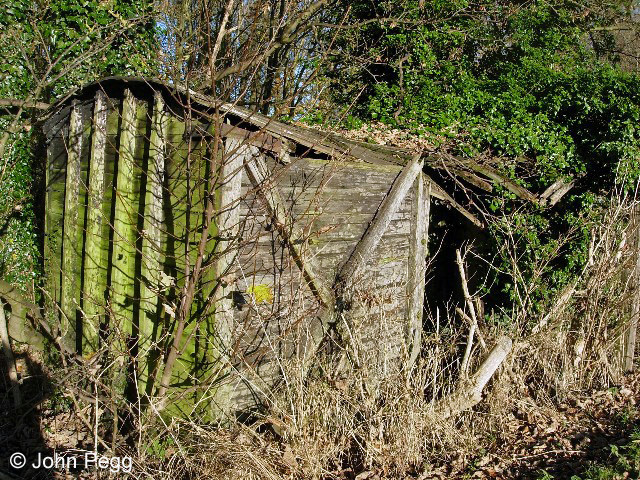 An old railway van or box wagon at the side of the track. No wheels, it must have been used as a shed - perhaps for permanent way workers, or it could have been a shelter for loco crew and guards to have their tea inside. 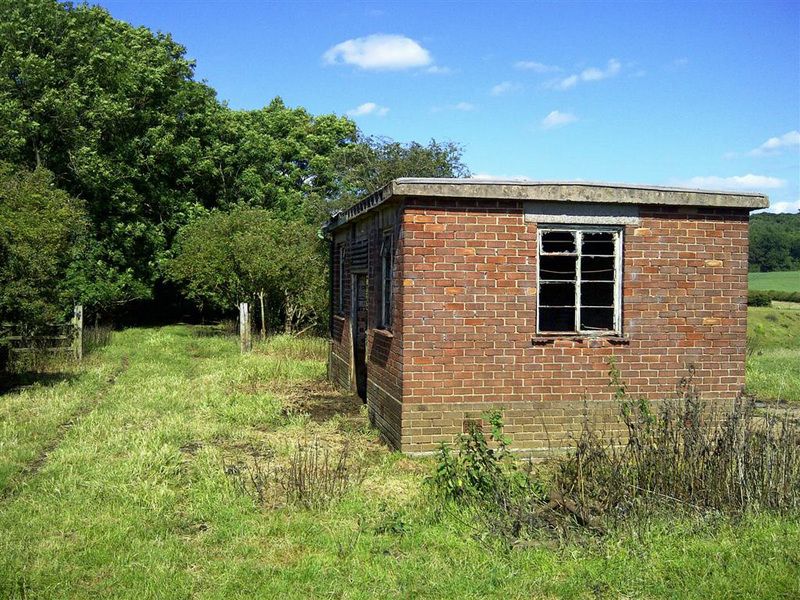 We are approaching the end of the branch, and this shed appears to be marked on the maps near the point where the single track split into sidings. This van might be 100 years old, though it could be approaching the end of its life now! No. 10 bridge ahead - the last one on the branch as it was originally built. Quiet a minute - was that a whistle I just heard? Half a century ago you'd need to 'Beware of Trains' here. Class B1 No. 61302 at Denton with an ironstone train in March 1966. No. 76099 with brake van at Denton in May 1966. The track over bridge No. 10 is called Sewstern Lane. 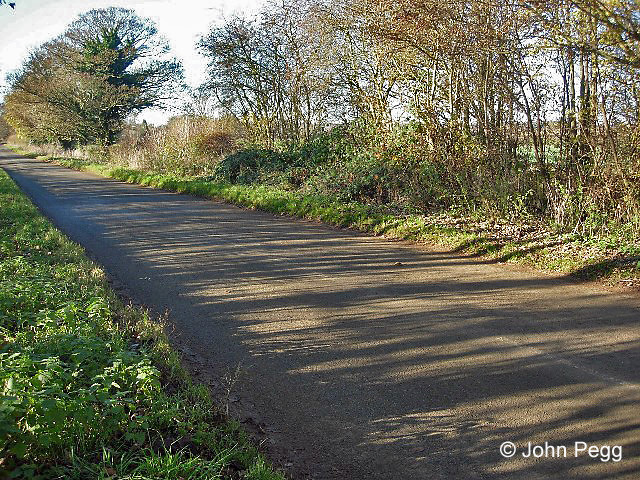 It's an ancient drove road with a long and interesting history which you can read about here: http://www.localdroveroads.co.uk/sewstern-lane-1/ . 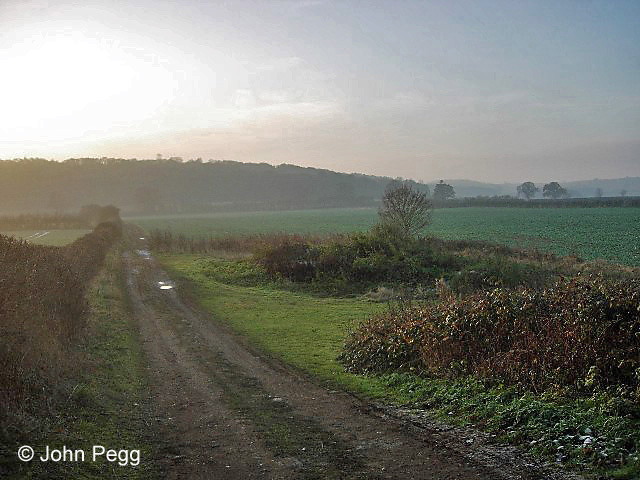 Sewstern Lane is part of the Viking Way mentioned in Part 1. The old railway wagon body is most likely the small rectangle just above the 'M' of MINERAL RAILWAY'. Just past that point the single line divides into four sidings which recombine into two tracks to pass beneath Bridge No.10. Beyond the bridge are sidings where empty wagons were exchanged for full ones which had been brought from the mines beyond by mining company locomotives. 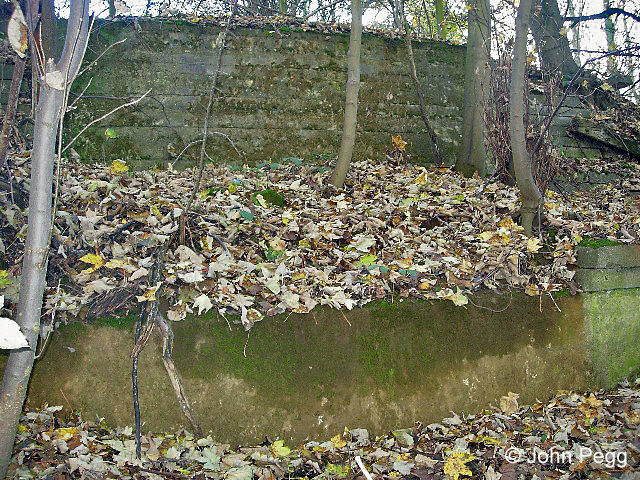 On the left are the foundations of an old loading stage. Until 1948 narrow gauge tramway wagons loaded with ironstone were pushed over the top of a siding here and tipped into the larger wagons below. 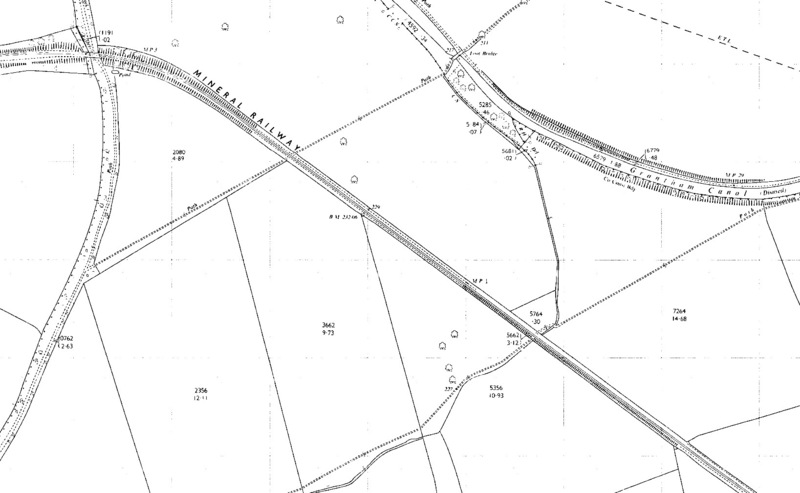 In the early 1950s a new tipping dock was built here for lorries that brought ironstone from workings which were not connected to the mines railway network. The Woolsthope Branch Extension, as originally built, ended in sidings just beyond this point. 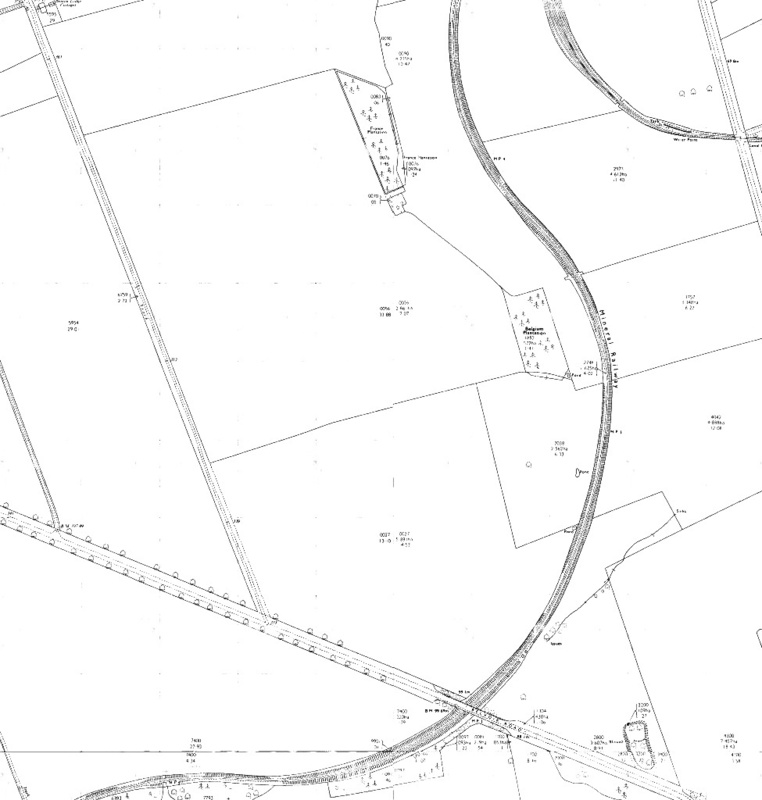 Here is a map of the terminus of the Woolsthorpe Branch in 1902, when the mine system was a narrow-gauge tramway and wagons on the GNR's line were loaded from above, just beyond the bridge. The foundation of the loading stage is in the photo above. 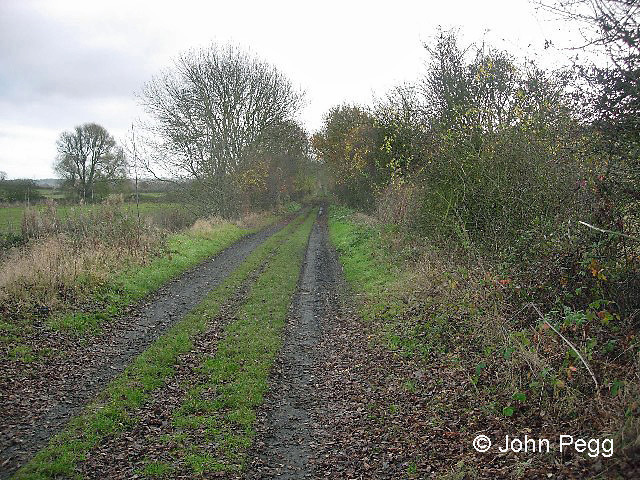 There is access from Sewstern Lane alongside a short siding, which was probably a public siding where ordinary freight to and from the locality could be transferred between rail and road. 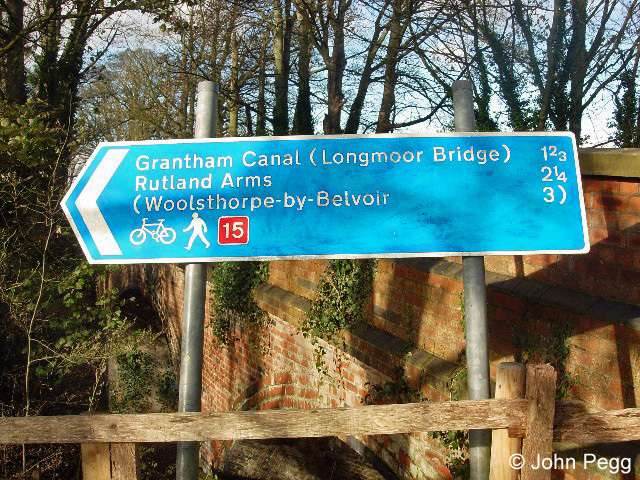 Here we are at the end of the Woolsthorpe Branch and 5½ miles from Belvoir. 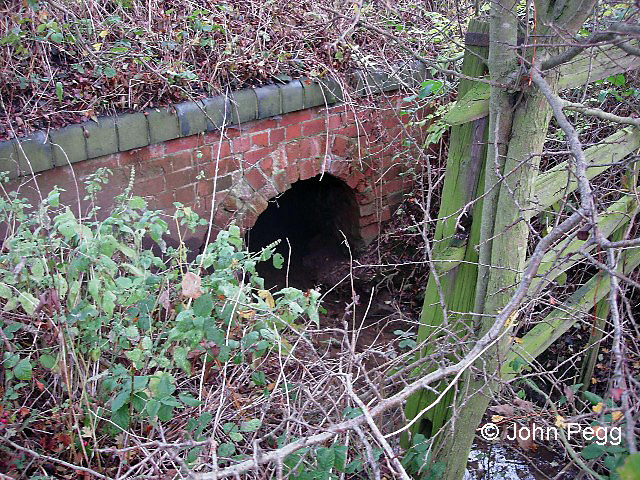 In 1948 the mine tramways were rebuilt to standard gauge, and their line was brought through a new bridge here, under Denton Lane, to join the Woolsthorpe Branch Extension end-to-end. 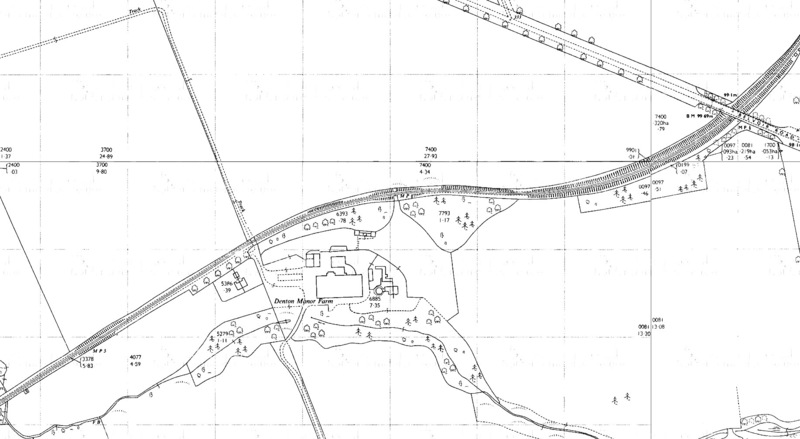 The empty wagons brought up from Belvoir Junction could then be taken into the Woolsthorpe Quarries for direct loading. The bridge has gone now, so this is once again 'the end of the line' because Denton Lane crosses the solid embankment in the background. 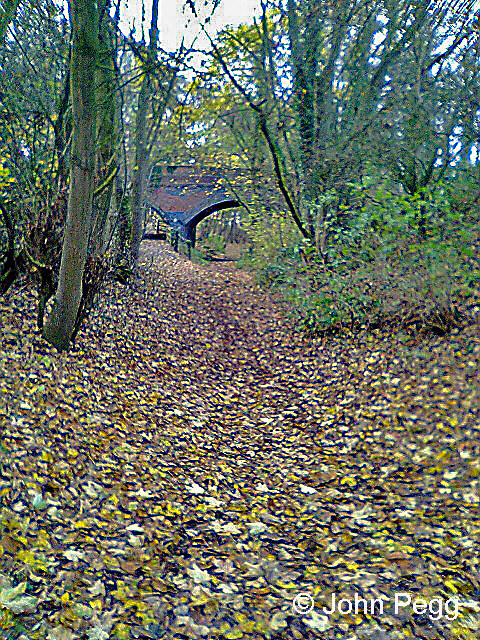 The bridge here was filled in during the reclamation of the qurry workings in the mid-1970s. 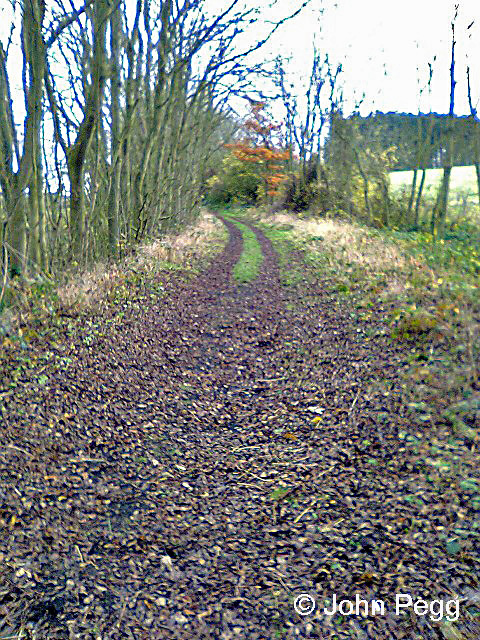 Denton Lane, where it once crossed the line from the mine (on the left) to meet the Woolsthorpe Branch terminus (on the right). On the other side of Denton Lane the site of the mine locos' engine shed, marked on the map, is in the foreground. 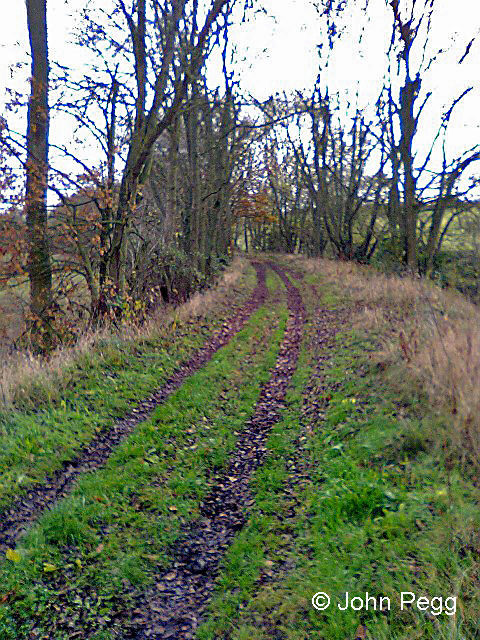 The mine railway's connection to the Woolsthorpe Branch was on the right, at a lower level to pass under the road behind us. 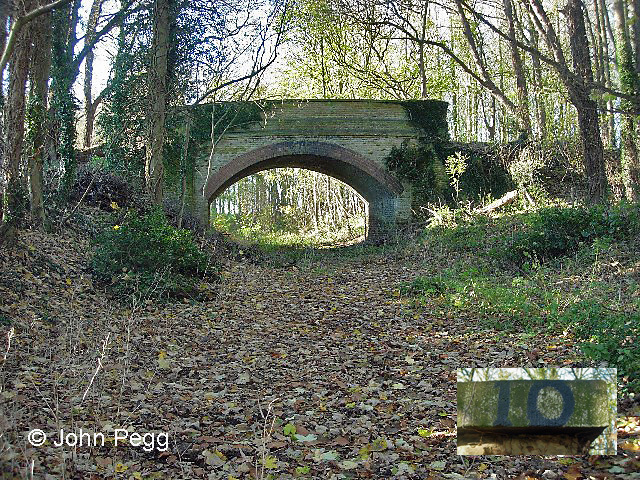 A bridge takes the mine railway under Denton Lane to meet the Woolsthorpe Branch at its terminus. 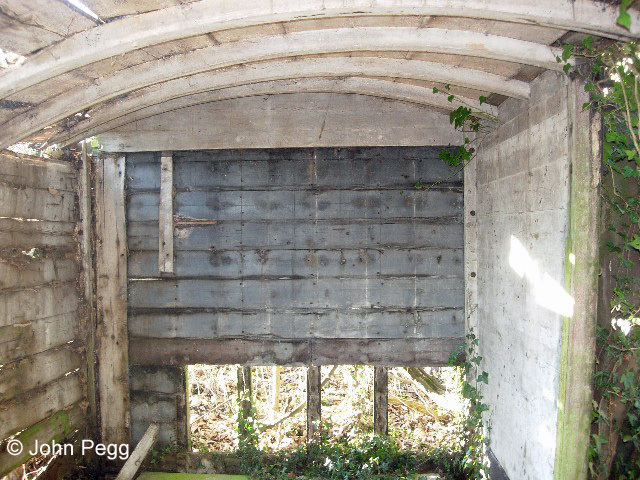 There was a weighbridge to keep a record of the mine's output, and an engine shed to maintain the mining company locos. 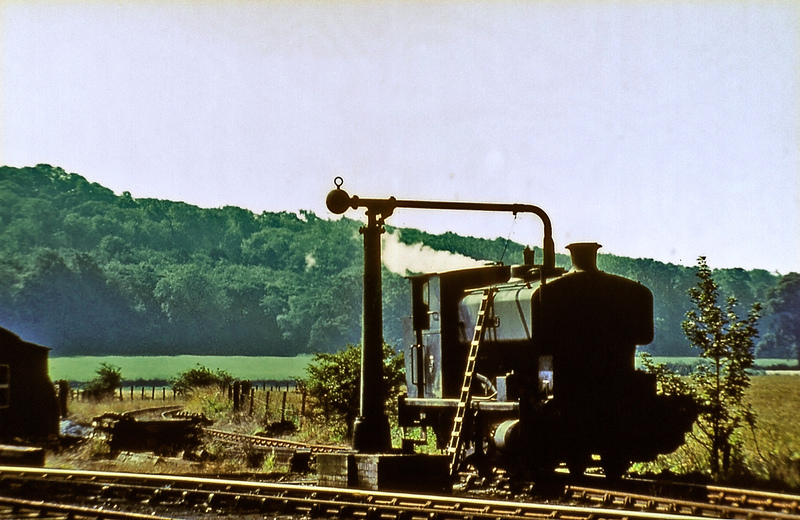 Barclay 0-6-0ST 'Denton' taking water at Harston in August 1968. It's standing at the junction of the tracks shown on the map above. 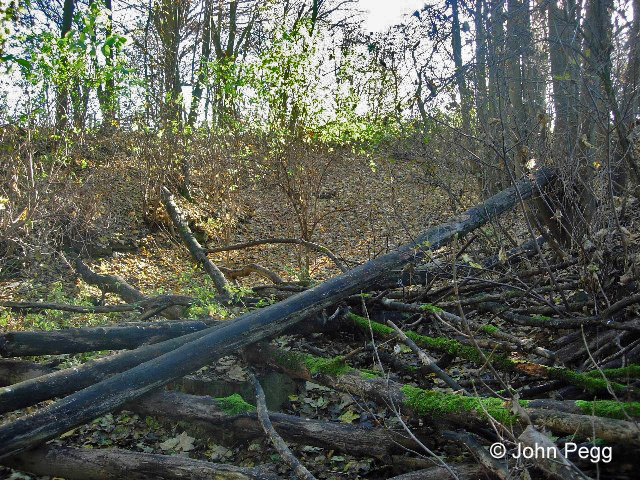 The picture was taken just a short walk down the slope in front of you in the previous photo; you can see the same woodland in the background. 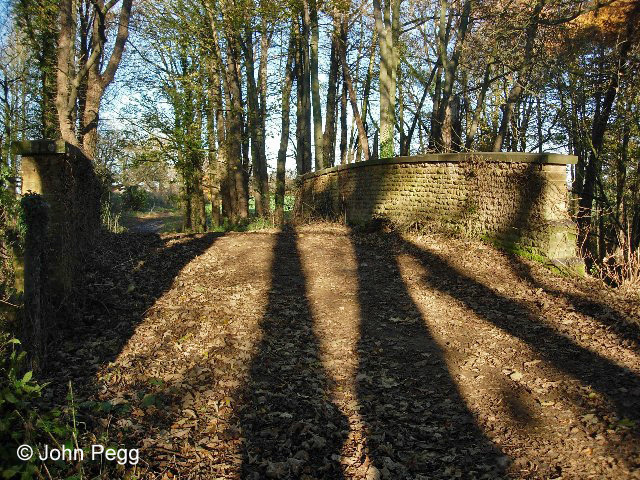 There's the bridge beneath Denton Lane. 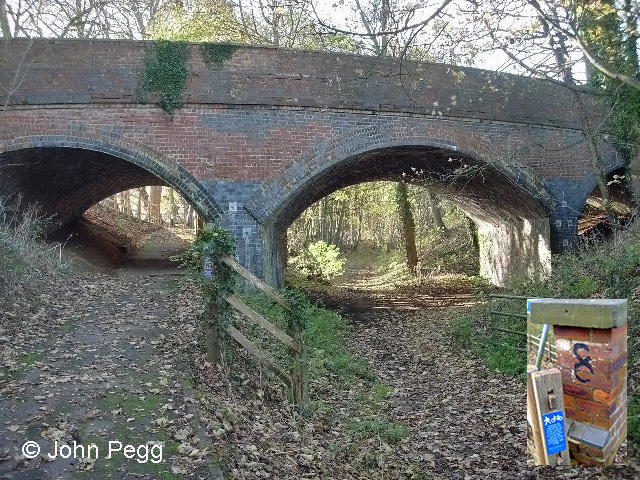 The weighbridge cabin can be glimpsed on the left, just beyond the bridge, then the line curves to the right to join the Woolsthorpe Branch. The mineral wagon contains the supply of coal for 'Denton' (seen above) and the other steam locos at the Woolsthorpe Quarries here. This photograph was taken in about 1964 by Don Sellick, who says, "The shot was taken on a day when the quarries were not working. We were disappointed that we did not see any locos at work, especially as it was a long bike ride from Nottingham for a couple of teenagers." 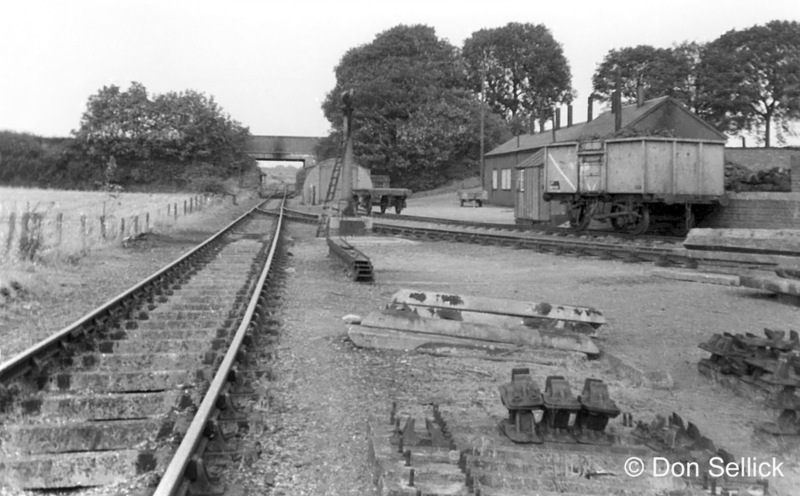 In 1977 the engine shed was moved from this site to a preservation centre at Market Overton (see the comment below from Paul Dodd). Today it is at the 'Rocks by Rail' museum at Cottesmore in Rutland, where it is still in use. The following three photographs were sent to us in July 2017 by Richard Marshall. They show a surviving building which is beside the line to the Harston and Cedar Hill quarries, about half a mile beyond where the locomotive Denton is standing in the photograph above. This building, photographed in summer 2017, is still standing at the site of the junction where a branch to Harston No. 2 quarry left the main line to Cedar Hill. 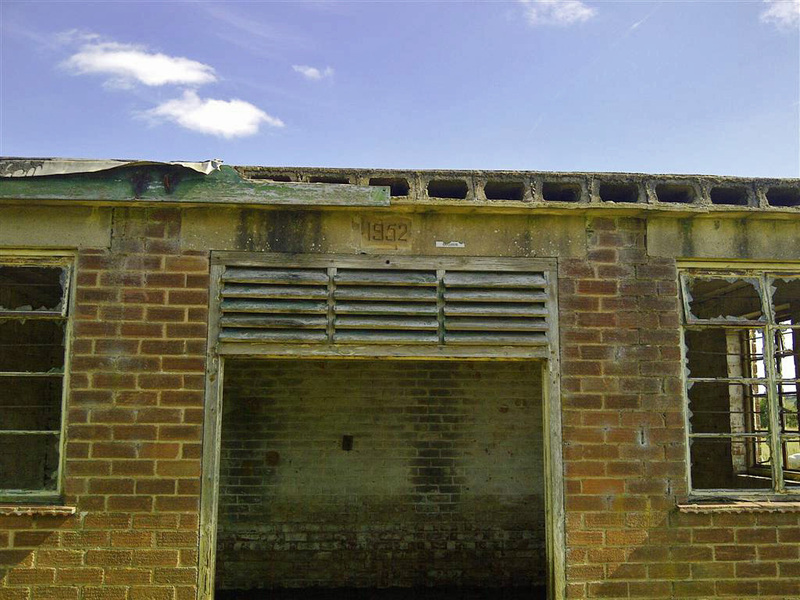 It is now used as a sheep pen and has '1952' carved on the lintel over the door. The date of construction above the dorrway. The ventilation louvres provide a clue about the building's original purpose. In this photograph you can see the trackbed running in front of the building and heading off between two white gate posts. From here it curved left (north east) to join to the Denton branch junction just south of the Denton to Knipton Road. 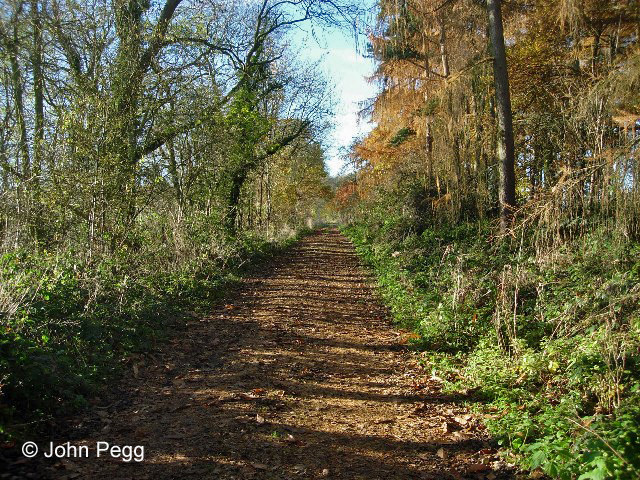 The track immediately behind where I stood to take the photo branched left (south) into the quarry known as Harston No. 2, while the main line carried on West towards Cedar Hill. 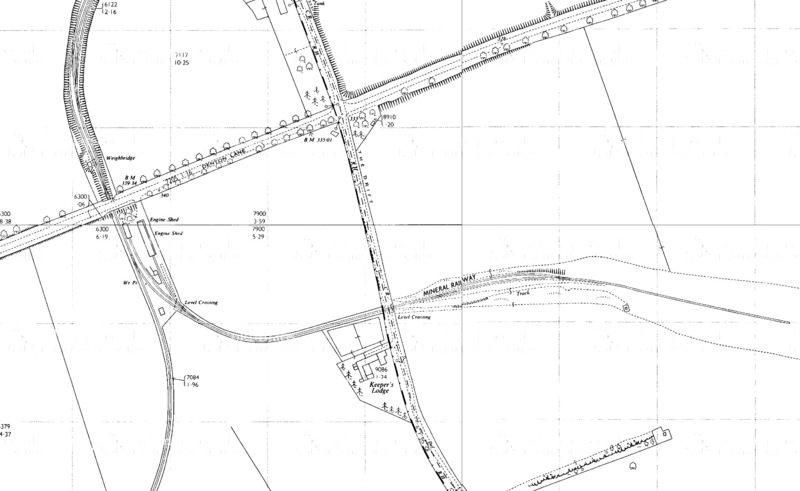 This map of 1971 shows that the building's original purpose was as an electricity substation - it's just to the right of centre. It would have supplied power to the plant and machinery in the surrounding quarries. The contrast has been increased in this photograph to show up some faint markings in the fields along the alignment of the quarry railway showin on the map above. A wealth of information about the Woolsthorpe ironstone quarries in the Denton and Harston area, including photographs of the quarries in operation, can be found in The Ironstone Quarries of the Midlands: History, Operation and Railways Part 9: Leicestershire, pages 146-192 written by Eric Tonks, ISBN 978-1-907094-09-5. I have enjoyed reading this article and seeing the photos of the lines in use. 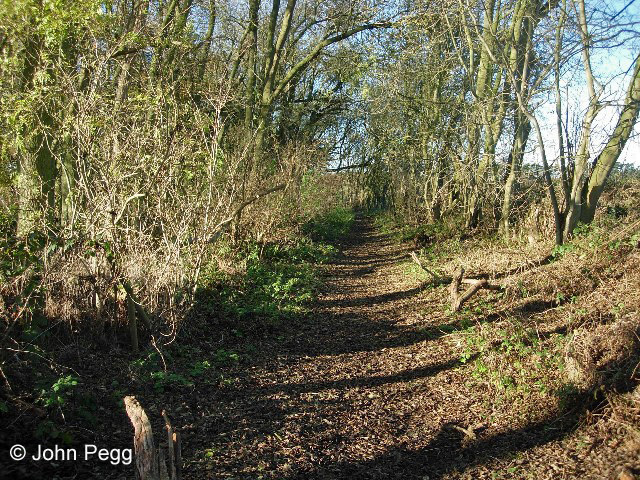 I have been riding these lines on a mountain bike for over 20 years, having lived in Bottesford, Harlaxton and now Grantham. I also 'look after' the cycle routes on behalf of Sustrans by doing a bit of pruning as and when required. I have an original poster from the 29th April 1961 rail tour with the route outlined and a copy of a ticket framed on my wall. There is some debate about if that particular rail tour actually went to Denton Sidings as they are not listed on the ticket. I have a few photos taken a couple of weeks ago of a building still standing at the junction where the branch to Harston No. 2 quarry left the main line to Cedar Hill. The building is currently used as a sheep pen and has 1952 carved on the lintel over the door. If you would like me to send you copies of the building photos or rail tour map you can contact me at the email address provided. Hello Richard - we're pleased to hear that you've been enjoying the pages about the old Woolsthorpe Branch. 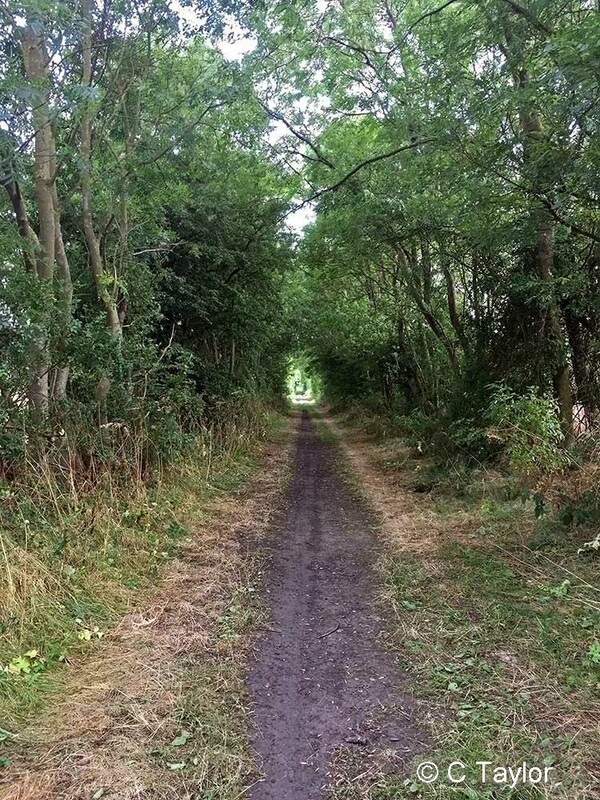 They are among the most popular pages on our website, to judge from the page view statistics, and several people have said that they've been out to explore the route becasue they read about it on Tracks through Grantham. So our readers will be pleased to know that you're out there keeping the way clear for them. 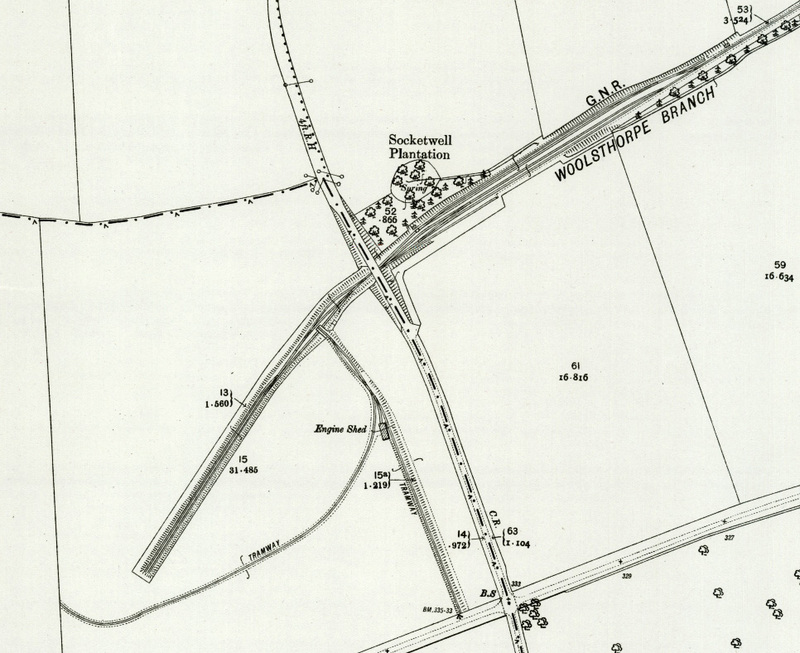 I understand that, as you suggest, the 29th April 1961 RCTS rail tour omitted the Woolsthorpe Branch. The 9th September 1961 rail tour took place, therefore, to provide an opportunity to travel from Belvoir to Denton Sidings and also on the Harlaxton system (though not on the Denton mines system, which had been covered in July 1957 by the first tour listed on the page). We'll be very pleased to see a copy of the railtour map and of the 1952 building and I'll email you separately about them. 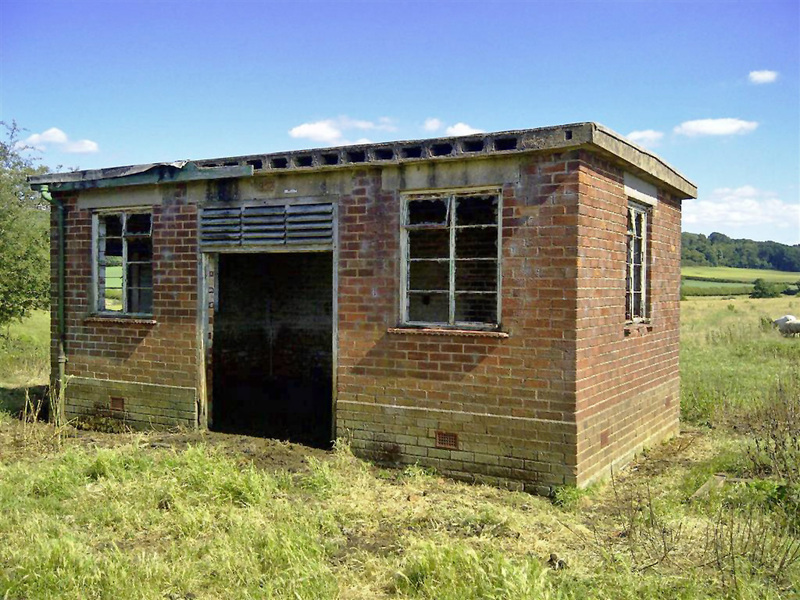 The engine shed at Harston was dismantled in 1977. I helped to move it along with others from my school. 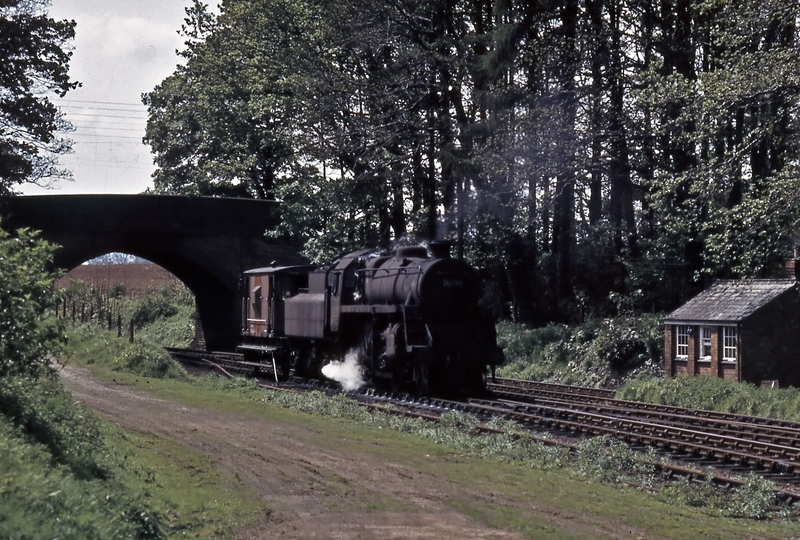 Our geography teacher owned one of the locos at what was then Market Overton Industrial Railway Association (MOIRA). The whole thing was moved to the site at Market Overton on multiple trips using a tractor and 3 bomb trailers loaned from RAF Cottesmore. 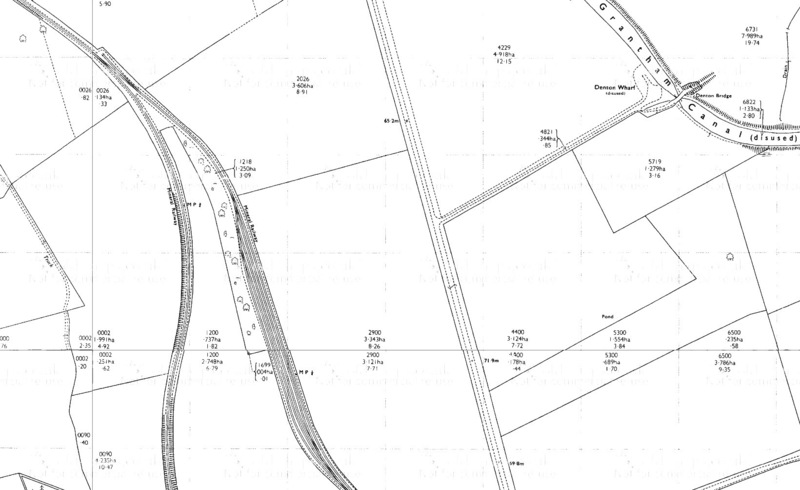 The tracks from Belvoir Junction and the exchange sidings were still in place at this time. A group of us had a hairy half hour free-wheeling ride from Harston down to Casthorpe Junction on a platelayers' trolley. It took all afternoon to push it back. The weighbridge was more or less derelict at the time, I seem to remember we had to burn the wood but removed a load of Blue bricks for reuse as the deal was we had to leave the site clear. I think the bridge was bricked up just afterwards. Thanks very much for relating the very interesting story of your ‘hands-on’ school project. Your teacher as owner of a locomotive reminds me that in 1969 a group of slightly older lads from my and other local schools each persuaded their parents to part with £50 so they could club together to buy a redundant steam locomotive from the Lamport quarries in Northants. The loco was Lamport No.3. This is fascinating my friend lives in keepers cottage and I ride every week down the old tracks it's beautiful I shall look out for all the markers you have pointed out. I didn't realise how close the tracks were to keepers. Do you have any old photos of keepers cottage?